On Wednesday, September 26, 2012, for the first time in decades that a sitting Egyptian head of state spoke at a UN General Assembly meeting, President Morsi stressed that the bloodshed in Syria must stop, that foreign intervention is not the right solution and he would not rest until the war is ended. He also spoke in support of the Palestinian right to establish an independent state. There are nearly 73,000 Syrian refugees registered or waiting to be registered by UNHCR in Lebanon, of which 18,000 are on a waiting list and 51% of those are children. Through Save the Children and other programs, funds are being raised to support the thousands of refugee children seeking an education. 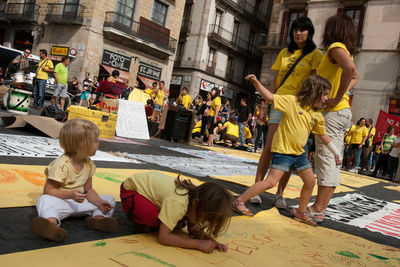 Public school teachers in Barcelona protested increasing austerity measures in Spain on Wednesday, September 26, 2012. Public school teachers in Barcelona protest against austerity measures following the mobilization of public school teachers in Catalonia. Today was the first day of the two-day strike called for by teachers in Catalonia. The protest, held in front of the Palace of the Generalitat, the seat of the regional government of Catalonia, had a festive tone. 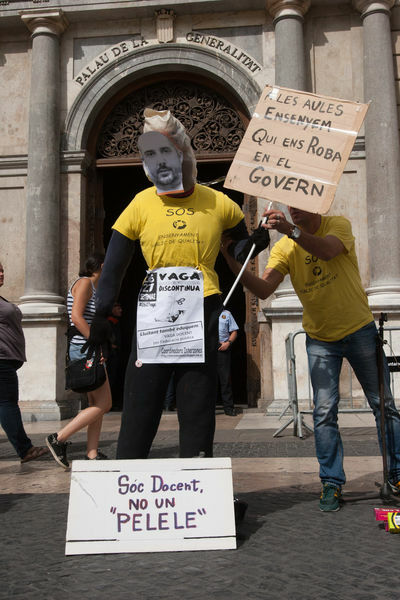 They protest against layoffs of more than 3000 teachers, budget cuts in public schools, increased student-teacher ratio, rising prices and taxes and for the decrease in grants and financial assistance to families. As Syrian refugee parents wait to register their children for school in Lebanon, the children play in the special play room. The Sawa registration Center is situated in Baalbek, and was set up in collaboration with UNHCR and Save the Children. There are 48,925 Syrian refugees registered with UNHCR in Lebanon, with more than 18,000 on a waiting list. 51% of them are children. Save the Children provided a Summer Accelerated Learning Program & Scholarship Program, that encompassed 1,208 children until now. Another 1,292 are supposed to join at the beginning of school year. As Syrian refugee parents wait to register their children for school in Lebanon, the children play in the special play room. The Sawa registration Center is situated in Baalbek, and was set up in collaboration with UNHCR and Save the Children. 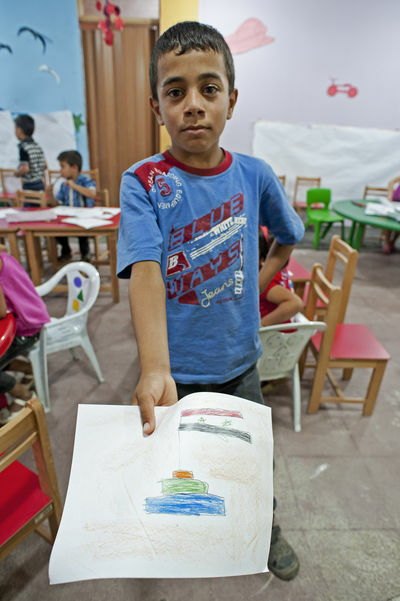 There are 48,925 Syrian refugees registered with UNHCR in Lebanon, with more than 18,000 on a waiting list. 51% of them are children. Save the Children is providing a Summer Accelerated Learning Program & Scholarship Program, that encompassed 1,208 children until now. Another 1,292 are supposed to join at the beginning of school year.